What do you believe? 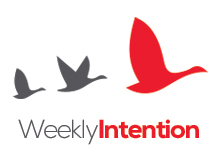 That’s a big, open question that requires the following – “about what?” This version of the Weekly Intention is about a conversation that a lot coaches and I will have with our clients. Why, you ask? As we are helping them unravel the path for growth, we continue to hear reframes such as, “For me to change, it’s hard” – “I’ve tried that before and it didn’t work” – “I can’t go in that direction because I don’t have enough education.” – And my favorite – “That’s just the way I am!” No, not my favorite at all, frankly, because it’s a total cop out we use way too often. It’s a defense mechanism that allows a person to stay where they are – their comfort zone. They’re afraid someone’s going to take their “blankie” away and make them stand on their own two feet and be held accountable! 1: a state or habit of mind in which trust or confidence is placed in some person or thing 2: something believed; especially: a tenet or body of tenets held by a group or a person 3: conviction of the truth of some statement or the reality of some being or phenomenon especially when based on the examination of evidence. Your beliefs fall into two basic categories – those that empower you and those that don’t! Your beliefs become your reality! From the previous information we’ve just built the “recipe” for why we think, do and act the way we do, and ultimately where we are going and where we end up. It’s our “jambalaya” or “seafood gumbo” that could explode the olfactory and taste senses for complete enjoyment. But it must contain the right ingredients and just the right amount of seasoning and cooking time. Then it must be carefully crafted by a loving chef, using just the right amounts, temperature, and stirring. If all of that occurs then we’ve created a masterpiece that is attractive and fulfilling. If not, we’ve got a burnt meal that no one wants to eat! This cooking metaphor is the same for us as humans and ultimately leaders. Remember, our foundation for the UnCommon Leadership model is about you exploring who you are first and foremost and getting real about what you do best and applying leverage to grow your strengths. Then, you must be willing to risk failure to explore your gaps and identify tactics, strategies and processes that will drive the growth of discovering and unleashing the unique gifts you’ve personally been given. In the next Weekly Intention, we will discuss methods for identifying your empowering beliefs and those that don’t and some ideas for “rewiring the brain” in order to move past those beliefs that are holding you back…..stay tuned!